Here at Electrical Connection, we have years of experience working with all different kinds of outlets, and we wanted to share some of the reasons why you should always call an electrician if you want to add outlets to your home. Your home has a main electrical line that runs from your electricity company into your home’s circuit breaker panel. From there, the electricity is flows to the circuits in your home. Some of the electricity stays on a dedicated circuit for larger appliances like your dishwasher, air conditioning system or refrigerator. The rest of it goes throughout your home to the outlets where other, smaller devices can have access to the electricity. If your home doesn’t have enough outlets or if you need to move some of them, make sure that you call an electrician. There are a few benefits to doing so. Speed – If you need to have your outlets moved or new ones installed, you want it to get done as quickly as possible. Your electrician will have done the same job countless times and will be able to get your new outlets installed quickly with minimal damage to your walls. Safety – While electricity has become essential to our homes, it is important to remember that it is also very dangerous. Electric shocks can be very powerful and can cause many issues and injuries. Your electrician will have the proper training and certification to be able to install your new outlets as safely as possible. Quality of work – There are many different things that can go wrong with an outlet installation. The ground might not be connected properly, the wires could be attached wrong—many of these common mistakes can make the outlet dangerous to use. That is why it is always best to hire a licensed electrician. 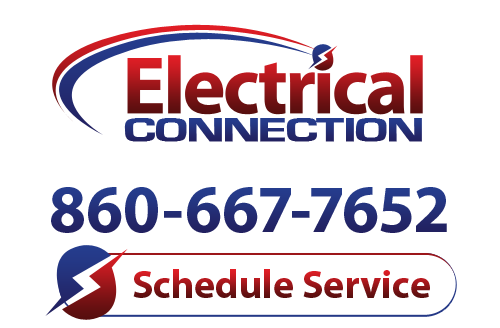 If you want to add outlets to your home or if you need an electrician in Hartford, call the experts at Electrical Connections.